Join us to learn about our esteemed colleague’s new musical! Five years ago when he was diagnosed with cancer, our colleague Istvan and his wife Marika needed to decide what to do during the endless waiting times for doctors, nurses, infusions, radiations and surgeries. 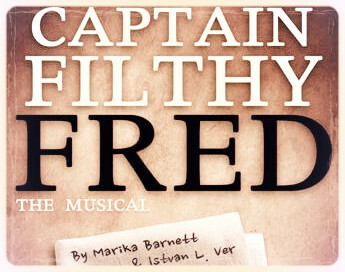 Quickly, they set upon writing a musical, and Captain Filthy Fred was born. In this meeting, Istvan and Marika will give us a behind the scenes look on what their musical is all about, preview stage readings and song excerpts from the show, and explain how – miraculously – it will have its world premier in New York City on June 21st.